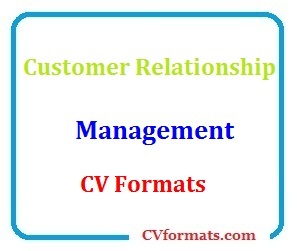 Mentioned is the way you can write Customer Relationship Management CV Template . People looking for jobs can easily download these Customer Relationship Management CV Template in word or pdf format or just view it online to copy and paste. Cover letter of Customer Relationship Management CV Template is also available. Just change the name , address , qualification and experience and your Customer Relationship Management CV Template is ready. Seeking a career opportunity to utilize my knowledge and experience in field of business development, customer relations, and account management. Excellent performance in account and sales expansion. Outstanding ability in finalizing high-ticket sales. Extremely inspired and committed person with proven analyzing and analytical skill sets. Expert in keeping and developing customer relationship. Well organized individual with excellent time management and presentation skill sets. Marcus and Millichap Inc., CA. Responsible for activities regarding sales, marketing, customer acquisition, customer relation management, & maximizing revenue. Finding various new businesses opening & arranging promotional programs to get commercial business and attain set goals. Organizing promotional programs to improve sales & attain set goals in sales. Designing and applying various methods to accomplish targets on monthly, quarterly, and yearly basis. Answering inquiry, questions & complaints of clients in order to keep revenue generation of the division. Recognize potential customers, creating business from the old accounts and reaching profitability level and sales growth.